Richmond, Virginia native, Mark Marano, has worked his way up through the ranks at Flagger Force. Two years ago, he joined the company as a Crew Member and has since held positions as an Advanced Crew Leader, Safety Specialist, and is now the Quality Specialist for the Richmond Operations and Training Facility. 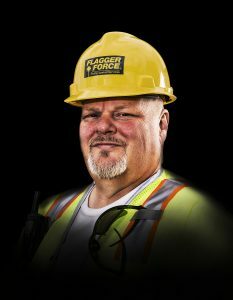 We recently sat down with Mark to learn more about him and his career journey with Flagger Force. Flagger Force: Hi, Mark! Thank you for meeting with us today. 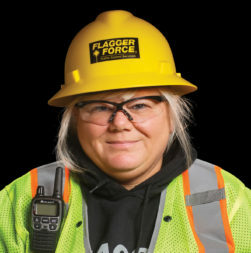 What made you interested in working for Flagger Force? Flagger Force: Now that you’ve grown into the role of Quality Specialist, how would you describe the Quality Department? Mark Marano: I always say that I “inspect what we expect.” From the advanced warning sign to the taper and everything in between, we check out the whole setup to make sure we’re doing it the right way and keeping everybody safe. The Quality Department is designed to ensure just that—quality in our work zones. So not only do I try to guide our field crews to be the best they can be, but I look for proper setups and ways to make our job sites better and safer for us, the client, and the public. I’m always looking for good opportunities to coach-up our people and to get them prepared for the next step. Flagger Force: You mentioned nothing is typical when working in the field, so what does a normal day in the life of a Quality Specialist look like? Mark Marano: Lots of driving—I go where the jobs are. Every day is a little different, just like working in the field. When I get to a job site, I talk to the crew and to the client. It’s nice being able to get out there and help our crews work through the problem. It’s rewarding to assist them and to see them figure it out. Flagger Force: It seems like you really enjoy what you do. What is one of your favorite things about your job? Mark Marano: Besides traveling around and getting to see the whole state, from the mountains to the ocean, I enjoy the opportunity to talk with our folks in the field—teaching them things, engaging with them, and coaching them up. I always encourage them to ask me questions, because that’s how we all learn. 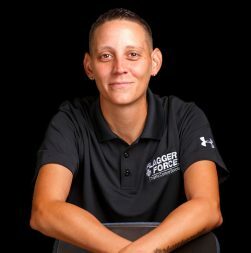 Flagger Force: Since Flagger Force was relatively new to the Virginia market when you joined the team, what was it like working for a company that was newly established in your state? Mark Marano: That was actually one of the things that attracted me to the job. Getting in on the ground floor and being able to be a part of something new, building something bigger, held many possibilities and was a great opportunity for me to take the next step in my career journey. It was a little intimating at first—there’s a lot of stuff sort of thrown at you. But, being out in the field, working hands-on, and gaining the experience is where the knowledge comes from. It was a challenge, but this is what I found enjoyable. Flagger Force: Have you always lived in the Richmond area? Mark Marano: Yes. I’ve been fortunate enough to travel, so I’ve seen a lot of the country, but I always end up coming home. I love this area since it’s a geographical anomaly—anywhere you want to go, from the beach to the mountains, is pretty much a two-hour drive. It’s convenient! Flagger Force: You seem to love what you do, Mark, and the area you do it in. What drives you? Mark Marano: Helping people grow. I’m passionate about building people up and positioning them to be successful, because I feel like if my people succeed, I can’t help but succeed. When I oversaw things in other businesses I was in, I always felt that my own success was based on the people—how well I trained them, how well they responded, and how well they worked. If I was successful, it was because of them. And if I failed, well then, I failed them and needed to rethink what I was doing. Readily encouraging others and building them up is what drives me, and is why it’s so easy for me to love my job. Flagger Force: As you meet new employees, what advice do you give them? Mark Marano: Ask questions. I started out as a Crew Member and worked my way up, and in less than two years, here I am a Quality Specialist. It wasn’t by accident. I asked questions on every job I was on—even when I was a Crew Leader, I asked for input. I tell them that their success is all in their hands, and that I’ll help them get there however I can. Who do you admire most? My mother, Patricia, has passed away, but I really admired her. She was so well-rounded and could intelligently speak on anything. She put the love of reading and learning in me. I also admire Ben Johnson, Assistant Manager of Quality for Flagger Force’s Virginia market. I consider Ben a role model. Whenever I have a question or seek career advice, he always takes the time to give me the best counsel. What was the best piece of advice you were ever given? “You are responsible for the effort, not the outcome.” A friend of mine told me that, and I’ve taken it to heart and try to pass it on now, too. When you get down to it, the only thing you control is your effort. Can you describe yourself in one word? Reliable—I hope people see me as reliable. If they need something done, they know they can call and count on me.